Get a quote from Go Girl for your home insurance. Go Girl provide car insurance that it claims “fits like a designer dress”. It is part of Sabre Insurance Group Ltd, alongside Drive Smart and Insure2Drive, and is aimed at young female drivers. Go Girl will provide quotes for most types of cars, including high value and modified vehicles, and it allows payment in monthly instalments. Its comprehensive policy includes cover for personal accidents, windscreens, audio equipment, travel in the EU, personal belongings up to £100 and £200 handbag cover. Go Girl will also provide a courtesy car if yours is out of action. The company also offers breakdown cover as an optional extra, it has five cover levels ranging from basic home start cover to European assistance. Find out how Go Girl compares to the best insurers for young drivers. If you’re interested in a separate breakdown policy, read our guide to the top 13 breakdown providers. How much does Go Girl cover cost? According to Findthebest.co.uk, quotes from Go Girl are higher than average. Have a look at their site to see the methodology they used to get the quote. What do Go Girl customer reviews say? 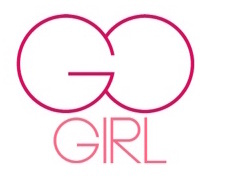 On the review site Reviews.co.uk Go Girl has an average score of 2.56 out of 5 from 89 reviews. Almost 50% of reviewers gave it 1 star. Sheilas’ Wheels, another car insurance firm aimed at women, scores 4.46 from 103 reviews on the same site. Independent financial researcher Defaqto has rated Go Girl Private Car Insurance as 3 Star. A 3 Star Rating shows that the policy provides an average level of features and benefits. Find out which insurers come top of our lists of the best policies for young drivers and the 10 best car insurance firms overall.